$JIFFY J200 Active Noise Cancelling Bluetooth Wireless Headphones with Microphone Over the Ear, Comfortable Lightweight Protein Earpads Foldable, Phone Volume Control 30 Hours Playtime for 3.5mm Device ---Active Noise Cancelling technology. Special, effective noise reduction for travel, work and anywhere in between. Verified by the market active noise reduction technology quells airplane cabin noise, city traffic or a busy office, makes you focus on what you want to hear,enjoy your music, movies and videos. The noise cancellation function can work well both in wire and wireless mode. ---Proprietary 40mm large-aperture drivers. Deep, accurate bass response. The Active Noise Cancelling around-ear headphones from JIFFY give you crisp, powerful sound and quiet that helps you enjoy your music better. item 1 COWIN E7 Active Noise Cancelling Headphones Bluetooth Headphones with Mic Deep.. -COWIN E7 Active Noise Cancelling Headphones Bluetooth Headphones with Mic Deep..
Just like other reviews I have read over, these headphones are lightweight, excellent sound quality and the noise cancelling is great! I've owned a few other NCH and am extremely impressed with the quality Cowin put into these. I say enough good things about the comfort when around my ears. Even without the noise cancelling feature, these phones do a superb job plainly because of how they fit! Why spend hundreds when you can spend nearly half of only one hundred?!?! 1st of all, the active noise canceling appears to be working ok. It has reduced low frequency noise considerably. For sound quality, it's not too bad. I have wired headset with 50mm sound cone that have powerful low frequency response. 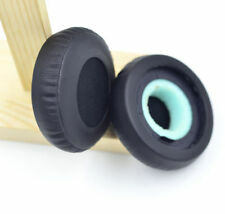 This headset has 40mm cone which is not so powerful like 50mm but not too bad. It has reasonably good sound quality. And for comfortably fit, it's ok but for long hours of use it feels a less comfortable probably because of active noise canceling it has to fit snug without leaking air too much. Battery life is good long enough for practical use. I don't know the long term durability for battery life. I just used for about a month or so. Overall it's reasonably good headset, it seems. I got it on discount, so thats a plus :). The sound quality is good. Its not the best, but its good. There are really comfortable and lightweight. I use them at work for several hours. Built quality is good for what I paid for. It doesnt feel or look cheap. Now, about the NC... This is my first NC headset and I have to say that I'm not impressed by the NC feature. If you're playing some music, even if the NC is off, it will block most of background noise, if not all. When NC is On, it kills the bass, sound quality drops when the NC is ON. If you're looking for NC headset, i suggest you keep looking. 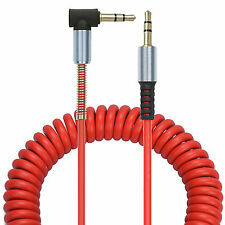 Awesome quality and sound for the price! I bought these after researching many reviews about many different headphone brands. I was looking at JBL, Skullcandy, Sony, Autotechnica etc and stumbled across these. I was acceptor on the cheap price but I am very impressed with the quality. They are solidly built and are super comfortable. I believe I will really get my money's worth out of them many times over. I haven't tried the noise cancelling yet but can tell you that even with it turned off, these headphones block out apt of noise. It is like wearing earmuffs. The sound is clear and doesn't distort even on max volume on my phone ( which honestly is a bit quiet anyway ). I only have one negative....I just had to order another pair as my wife won't give them back! I was skeptical at first ordering something less than a Bose or Sennheiser, but decided to try the Crown E-7 due to the price differential. I am glad I did. These are light and comfortable - and hardly noticeable even after a 2 hour long movie. I bluetooth connect this to my Kii android box and enjoy wireless audio while watching my favorite movies at night after my wife goes to sleep without bothering her with any loud sounds. I consider these to be a great value for the price and does the job nicely for me.